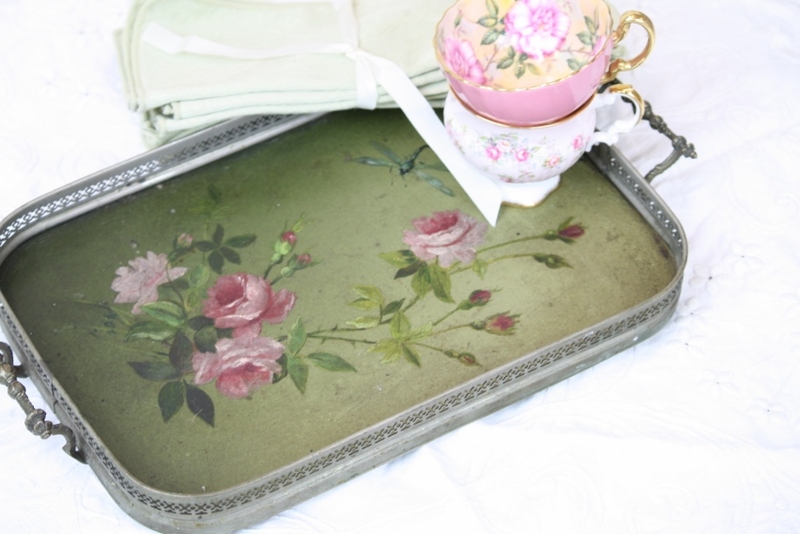 Still in Love with Tole Trays even after all this time | Cape May Antiques Inc. 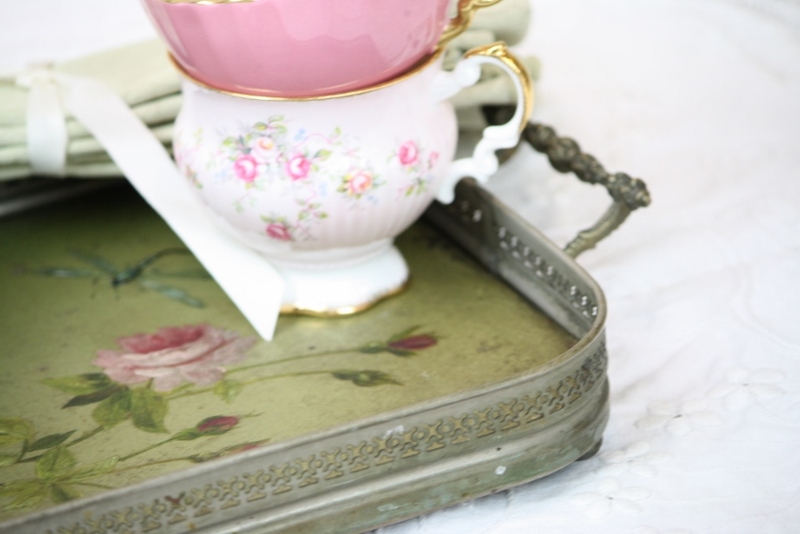 When I first started buying antiques for resale, I was drawn to tole trays or toleware of any kind for that matter. Timeless elegance, beauty and individuality grace so many tole treasures. 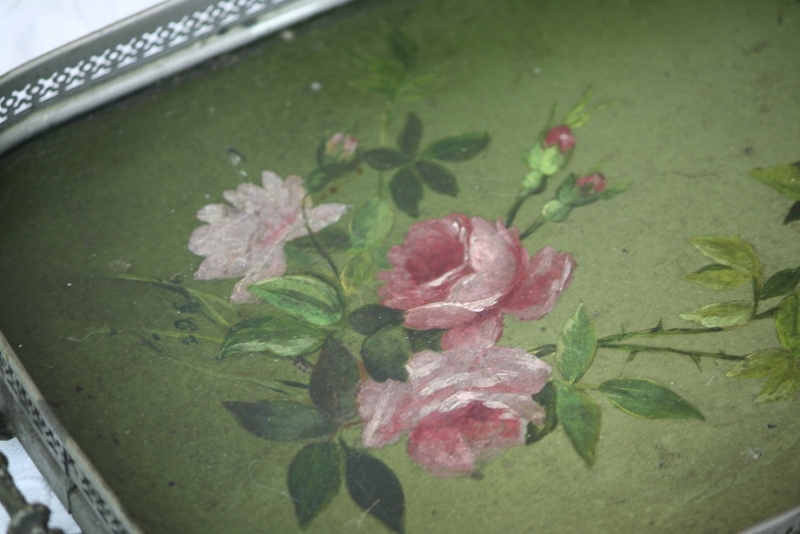 I stumbled upon this latest beauty at auction that was filled with other “not so great” items but I spotted the pink roses and could tell immediately they were hand painted. Had to have it! So this tray is very unique because it’s not painted on metal and it has the most amazing gallery trim! Clicking my fingers on the painted interior portion, it almost feels like artist board from back in the day, not wood or metal. See the intricate pierced sides of this tray and slightly visible is the intricate detailing on the applied brass or bronzed metal handles. And I almost forgot to mention the dragon-fly fluttering about the pink roses…see below. 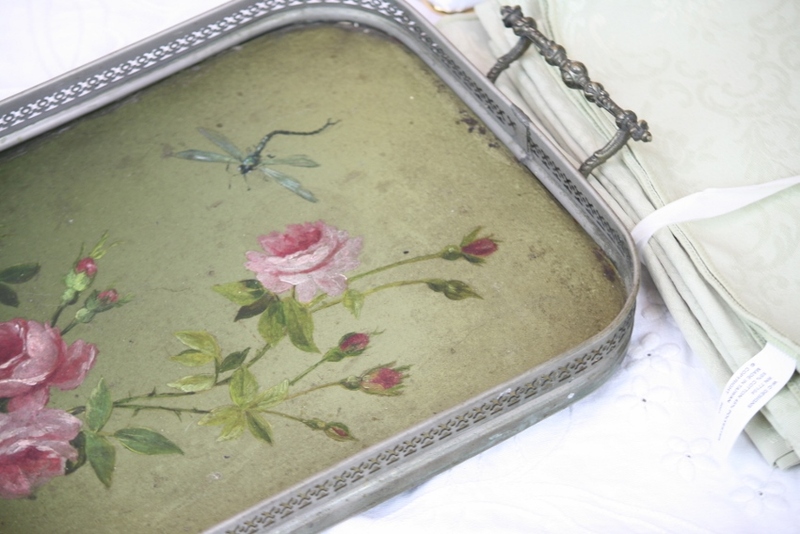 So if you like shabby chic, romantic cottage, pink roses etc., this tray might be calling your name! Imagine treating yourself to you afternoon tea using this tray! Plenty of room on the tray for your favorite book and small plate of cookies, no-one has to know! Hope you’ve enjoyed reading about this lovely tray and if you gotta have it, visit my online store.